This week your church will gather in different ways for different purposes. We usually think of the weekly gathering as the primary worship service, but beyond that larger gathering, people in your church will likely get together at least one more time. 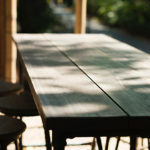 Call it Sunday school, call it small groups, or call it missional communities – it’s a different environment with a completely different vibe than the larger worship gathering. 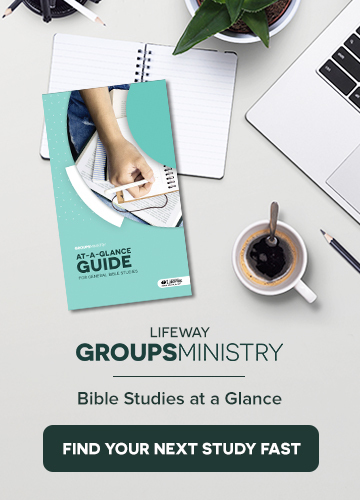 While each of these smaller groups are different in their tone and goals, we have seen at LifeWay Research some commonalities starting to emerge within them. One of the fastest-growing philosophies in small group life involves the content that the group is based on. This growing segment in group life seeks to bridge the gap between the sermon and the small group. 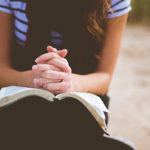 These sermon-based groups do not diverge from the pastor’s main point; instead, they look at the same text or theme they heard from the pulpit, except this time in a posture of discussion. Proponents of the sermon-based model love the synergy their people get; instead of bombarding them with different messages multiple times in a week, the church is able to hammer again and again the core truths of the week. 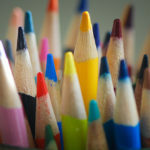 It creates a greater sense of focus than you might otherwise have; that sense of focus is at least part of the reason for the growth in these types of groups. 1. You don’t open the Bible. It sounds funny to say it, but many groups with this philosophy devolve quickly into a group counseling session or a critique of the pastor’s sermon. Neither of these things are ultimately helpful in and of themselves. While it might be easy to assume that everyone attended the sermon and is starting with a base of knowledge, we can do better. Open the Bible. Read the text. Again. Make sure that this isn’t a fan club or another get-together but rather an environment in which the Spirit of God can use the Word of God in the lives of the people of God. 2. You don’t take the discussion to a personal level. One of the goals of sermon-based groups is to take something heard in a larger setting and apply it in a personal and authentic way, but that doesn’t happen without intentionality. Group leaders must be trained and equipped to know that groups like this can easily live in the hypotheticals, simply discussing statement after statement they heard rather than actually applying what they heard. Practically, that means the discussion guides leaders have in their hands cannot simply be a rehashing of the sermon; they have to go further and personally deeper. 3. You don’t equip your leaders well. It’s obvious that every group leader needs to be equipped, but doing that in these types of groups is particularly difficult. In fact, the primary reason why sermon-based groups fold is because of the extra effort it takes someone in the life of the church to prepare thoughtful discussion guides that align with the pastor’s series. Combine the time it takes with the fact that most pastors can’t be counted on to deliver their content even a few days ahead of time, and it makes the content piece very difficult. The result is that many sermon-based groups trust their content to three or four questions on a piece of paper. We can do better. One of the pieces of technology I’m most excited about is the Bible study tool at smallgroup.com. The site will allow you or your group leaders to build customized Bible study discussion guides that will align with your sermon series. All of the content housed at smallgroup.com is completely customizable, which means it can easily integrate specific preaching points from a sermon. You can sign up for a two-week trial at smallgroup.com and see how helpful this tool can be for you. Sermon-based groups have their benefits, but they’re not easy. If this is the philosophy for you, then keep an eye out for these and other pitfalls to make sure your groups are truly moving people forward in their walk with Jesus. You’re killing your sermon-based groups if they don’t open the Bible. You’re killing your sermon-based groups if the discussion isn’t taken to a personal level. You’re killing your sermon-based groups if you’re not equipping your leaders well.